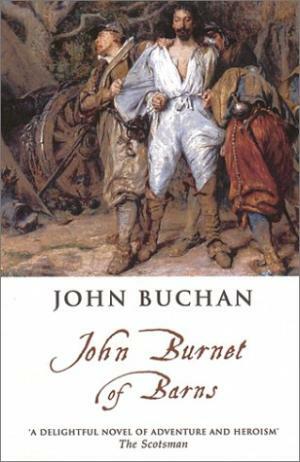 This week in the Really Like This Book podcast scripts catch-up, we’re in the 17th century, in the fog of Scotland and the mud of northern Holland, in John Buchan’s early swashbuckler, John Burnet of Barns (1898). This novel was published when Buchan was just 23; it’s not his first novel, but his second, and a fine meaty affair it is too. His youth is not very evident in the writing, except perhaps in the length: this is not a fast read, but might take only a leisurely couple of evenings. It’s not slow – no true swashbucklering novel should be slow – but there is an awful lot in it, packing the novel with swashbuckling elements inserted at regular intervals for fun and excitement. When John Burnet inherits his father’s estate he meets and falls in love with Marjory, his childhood playmate and his neighbour’s daughter. Marjory becomes the weak point in all his doings, since as soon as she is in danger, he must rush to save her and get into more danger himself. The novel is set in late 17th-century Scotland, a very complicated time for Scottish politics, because they had not only religious but also political strife on their hands. King James II had ascended the throne after his dissolute brother Charles II, and was causing consternation by being far too Roman Catholic for the liking of the Scottish Presbyterians who ran the Scottish Parliament. The religious objectors to the king took to the hills to worship more freely, or were driven out (it’s contested as to who were the martyrs and who were the persecutors), and so the government soldiers, the dragoons, were a familiar sight harrying the king’s opponents. 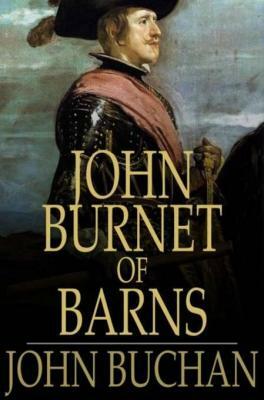 People could be proscribed (locked up and hanged), or exiled on just hearsay, and that’s what happened to John Burnet of Barns. The trouble was, he has an enemy, his own cousin Gilbert. Gilbert comes to visit the Burnet family home, and enrages John with his arrogance, so that John challenges him to a horse race, up the mountain side. They ride fiercely and wildly, but John also rides carefully, knowing the ground, and on a horse with a particular talent, and so John wins. As well as objecting to losing, arrogant show-off Gilbert also takes a fancy to Marjory, and to this John objects very severely, despite not having mentioned yet to Marjory that he is in love with her. Once this small matter is sorted out, Marjory will have nothing to do with Gilbert, and there the matter would have rested had not John decided that, now he’d secured the lady, and made an enemy in his close family, now was a good time to leave Scotland for two years to study philosophy in Leiden. I don’t dispute the wisdom of the desire for education, but I do think he was daft to leave everything he valued – his home, his girl and his future – to go abroad when he had an enemy lurking at home to take it all away. In Leiden John realises that he and Gilbert are destined to continually run into each other. They meet at a dinner, at which Gilbert is unpardonably rude to a lady present by quoting something very vulgar in Latin to her, not realising that as the daughter of a scholar, she of course understands the anatomical detail of his quotation. John is outraged, and throws a glass at his cousin, and next morning is called upon by Gilbert’s friends to arrange a duel. There is a great deal of sword-fighting in this novel: if it’s not between Gilbert and John it seems to be between John and every second man he encounters. He beats Gilbert in this duel, and thinks no more of it, until he gets a strange letter from Marjory. Something is clearly wrong; one of her happy, placid letters includes a panicking plea for him to come home. He spends the next three hours tearing around Leiden paying his bills and saying goodbye to his professors, and is on the first boat back to Scotland. He and his right-hand man, Nicol Plenderleith, put in at the east harbour at Leith, and then discover that the inn they are staying in is full of Gilbert with his soldiers, waiting for John to disembark at the more usual west harbour, because John is now pronounced as an enemy of the crown, and all his lands are forfeit. So here’s a pretty kettle of fish. John starts a long series of daring exploits to keep one step ahead of his pursuers, and to keep Marjory out of Gilbert’s hands. He starts by stealing his own horse (that Gilbert has taken from the Burnet stables) to get out of Leith. He’s held up by a footpad, but the man recognises him as the Laird of Barns, gives him one of his pistols and tells him the best route to ride to safety. That’s quite some influence to have over the thieves of the road. John and Marjory take shelter with some Covenanters in a cave, and Marjory gets shot by roaming dragoons, so John beats them up, but stupidly doesn’t kill them. He meets a man dressed in fine clothes in the middle of the hills, with one bright blue eye, who challenges him to a duel just for the sake of the sword practice (John loses this one). He rescues a miller being tortured by the dragoons – really, the dragoons are thoroughly out of control in this countryside – and when he gets back to the cave for shelter, he narrowly escapes being caught by yet more dragoons, but the old blind Covenanter brings the roof of the cave down and only John escapes. After being chased by yet more dragoons, John is taken in by the gypsies and joins them for a few months roaming the Border country with a dyed face and scarlet clothes. 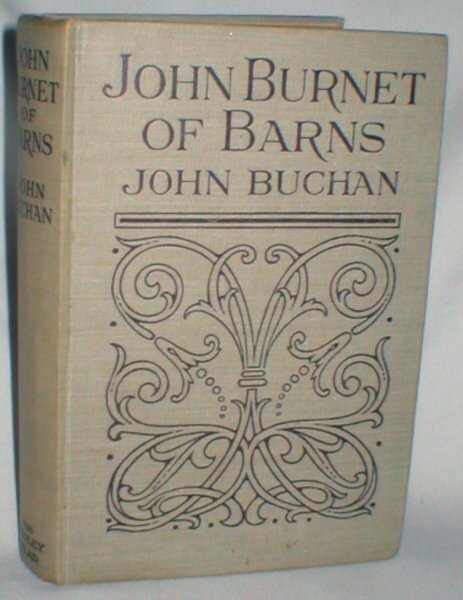 He terrorises a smug Borders town in revenge for the insults a townsman gave to a gypsy woman, and he fights in an epic battle between two gypsy clans which is one of the bloodiest episodes John Buchan ever wrote. 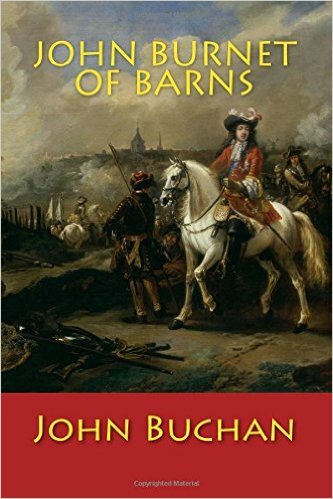 Finally, his wanderings are over when he hears the news that William of Orange has landed, and that James II is on his way to France. All proscribed men are magically free to return home, and John can go back to find Marjory and marry her. Trouble is, Gilbert has got to her first, and John and Nicol have another epic chase across land and water to rescue her. It all ends with, inevitably, another duel of swords. The reason I like this novel is that it is a roller-coaster, one episode after another. Nothing is too unexpected, no details are overdone, though I do wonder how John gets hold of fresh shoes, clothes and money after continually being taken by surprise and having to run for it, time and again. He also has a surprising number of friends in the countryside to help him out: how plausible is that? Does it matter? The countryside is almost a character in the novel: there’s no map in the edition I was reading, and I really needed one, because the narrative is continually related with references to this river or that hill, not by roads or villages. But the swashbucklery is paramount, the plot leaps from one episode of daring and rushing about to another. Gentlemen are dashing and terrific swordsmen, ladies are brave and obedient, townsfolk are douce and cautious, country folk have great one-liners and put-downs for the arrogant, and the horses never seem to get tired. If only novels were still written in such a brave and robust style. King James VII in Scotland; King James the II in England, actually. Innumeracy is my middle name. Will fix …. my Uni Reading address will find me!